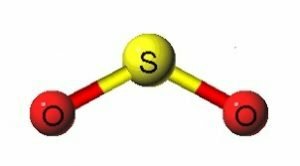 On February 26, 2019 the U.S. Environmental Protection Agency (EPA) announced its final decision to retain without changes to the National Ambient Air Quality Standards (NAAQS) for sulfur dioxide (SO2). EPA says its decision comes after carefully reviewing the most recent available scientific evidence and risk and exposure information and consulting with the agency’s independent science advisors. The Clean Air Act requires EPA to set NAAQS for “criteria air pollutants.” Currently, SO2 and five other major pollutants are listed as criteria pollutants: Nitrogen Dioxide, Carbon Monoxide, Lead, Ground Level Ozone, and Particulate Matter. The law also requires EPA to periodically review the relevant scientific information and primary (health-based) standards. If appropriate, EPA revises the standards to ensure they provide requisite protection for public health, allowing for an adequate margin of safety. Advocacy groups including the American Lung Association had urged EPA to lower the amount of SO2 pollution it allows, from 75 parts per billion of sulfur dioxide in ambient air to 50 parts per billion. On the other side of the issue, the American Petroleum Institute contended the Obama era rules were overly stringent and wanted them relaxed. On February 26, 2019 the U.S. Environmental Protection Agency (EPA) announced its final decision to retain without changes to the National Ambient Air Quality Standards (NAAQS) for sulfur dioxide, one of the Clean Air Act’s six criteria pollutants. Contact MIRATECH for compliance solutions for stationary engines.